Pastor Kevin C. Robinson is a Shepherd after God's own heart. He believes that God is a Restorer of the breaches and that He will build upon the old waste places. Pastor and 1st Lady Stephanie gave their lives to the Lord in June 1991, while stationed at Wiesbaden Airforce Base, Wiesbaden, Germany. They were married shortly thereafter, and have been together for twenty years. They have two wonderful children, Nakala and Joshua. 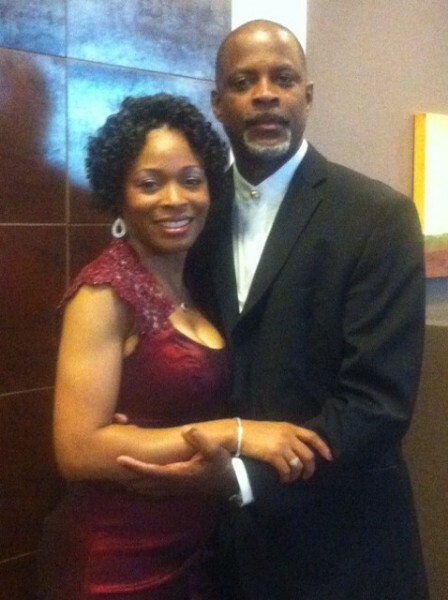 Pastor Robinson believes that his marriage and children have helped shape him into the man of God he is today. Pastor Robinson walks in the Apostolic grace and anointing. He has an anointing for the city of Little Rock to restore man to God's Presence, God's Purpose and God's Power. Pastor Robinson believes that God has given him a clarion voice for this hour to restore integrity to the Ministry and to the Body of Christ. Pastor Robinson was ordained and released into ministry on June 1, 2007, by his Father in the Faith, Apostle Dr. Cornelius Sanders II, Revelation Ministries Christian Church of Wichita, KS. He has been submitted and committed to his Father in the Faith since June, 1991. At RMCF, CHRIST is the Center of our Ministry and we are measured by Him Alone. GOD is not and we are not imitative, but Creative in our Nature. We have an Unction to Function, we are a Spiritual Spontaneous Body of Believers committed to restoring Integrity to the Ministry and to the Body of Christ.